I recently had to go to Eccles to visit a day care centre for work - my job, so glamorous. At least, I thought, as I stood on a packed and delayed train, I'll soon be enjoying Eccles cakes and tea so strong you can stand a spoon in it. But alas, all I got were Hobnobs and cups of coffee. I left, still unsure what Eccles cakes even were, let alone what they tasted like. Turns out they're not even cakes, they're little flat pastries crammed full of currants and delicious warming spices. They're so easy to make that you can knock them out in less time than it takes to go to the shops and pick up some substandard biscuits. Eat with a lump of cheese if you're proper northern, or an enormous mug of tea that's been brewed for so long it makes you wince (that's the only tea for me). Preheat the oven to 200C/400F/gas mark 6. Line a tray with baking paper. Melt the butter and sugar in a small saucepan over a low heat. Add the currants, nutmeg, cinnamon and lemon zest. Turn the heat off and stir until the currants have absorbed the butter and spices. Set aside to cool. Roll out the pastry to about 2/3mm thick. Get a glass with a diameter of roughly 10cm and use it to press out circles. Scoop a spoonful of the currants into the middle of a pastry circle. Pinch it together to seal it, then turn it over and gently flatten out. Repeat with the rest. Place them seam-side down on the tray. Brush with milk, sprinkle with granulated sugar, cut three parallel lines across the tops and bake for 15-20 minutes until brown and crispy. Scoff them warm to understand where the phrase "sells like hot cakes" comes from. Look delicious. 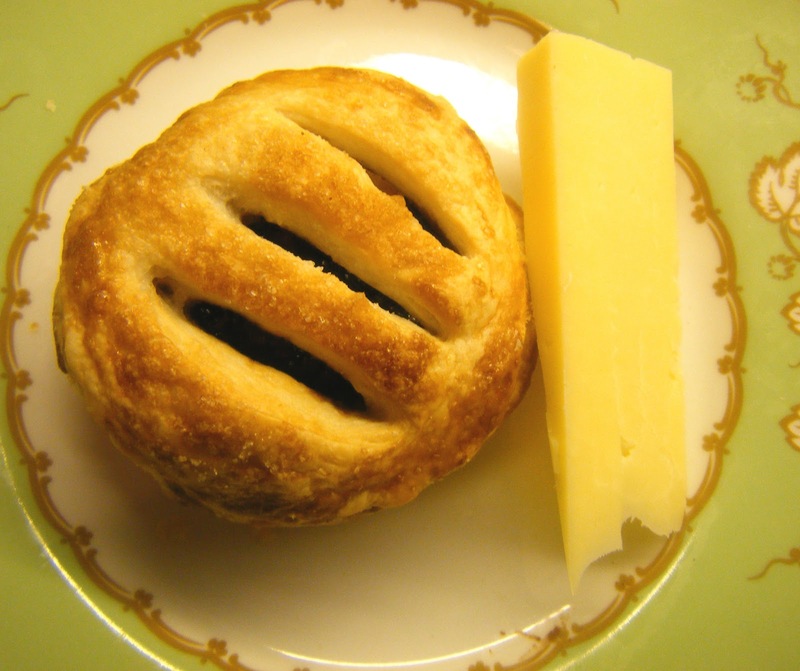 I've never even heard of Eccles cakes. Question: These are dried currants right? Hi Karen - yes, dried currants. Let us know if you give them a go! I think Canada needs more northern England baked goods.